Ask those in the know to name the best of the best in the super-luxury SUV market segment, and the Bentley Bentayga will quickly rise to the top of the list. 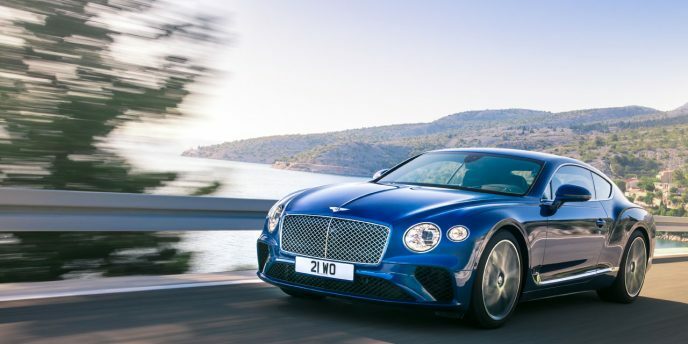 When it arrived on the scene in 2016, nothing could match it for premium accoutrements or performance, the former because it’s a Bentley, and the latter thanks to a 600 horsepower twin-turbocharged W12 engine featuring 663 lb-ft of torque, a quick-shifting eight-speed ZF-sourced automatic transmission with paddle-shifters, and performance-tuned full-time all-wheel drive, allowing it to catapult from zero to 100km/h in just 4.0 seconds flat, before topping out at a stratospheric 301 km/h (187 mph). The record-setting Bentayga featured Bentley’s top-line W12 engine (a 542 horsepower V8 with 569 foot-pounds of torque is also available), plus an adaptive air suspension, active electric 48-volt anti-roll control, and carbon ceramic brakes, all of which are available on the stock Bentayga, and each contributing to the SUV’s shockingly fast record pace. 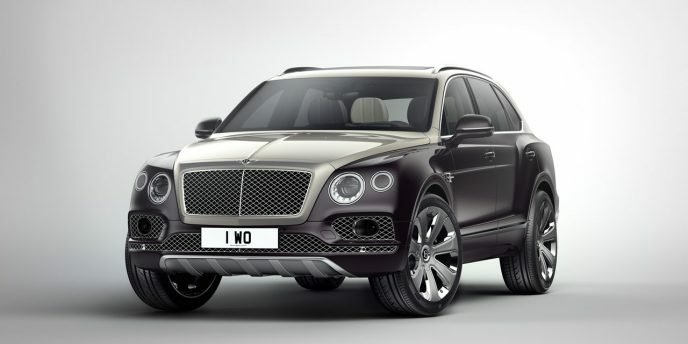 Knowing that its ardent racing enthusiast clientele would want to own a commemorative example of this record-breaking Bentayga, Bentley has created a Limited Edition model handcrafted by its in-house Mulliner bespoke and coachbuilding division. 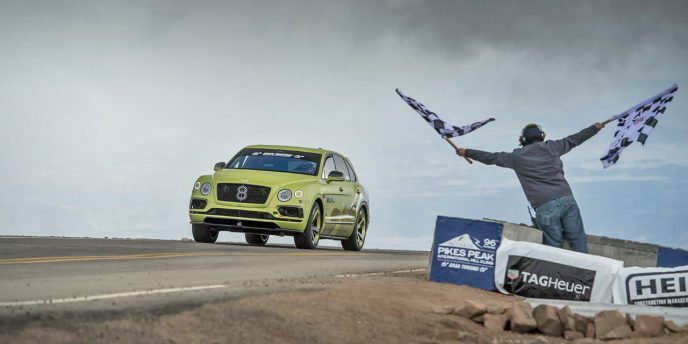 The Pikes Peak Bentayga is now available as “an homage to the achievements of the Bentayga W12 on the mountain,” said Bentley in a press release. Of course, the same Radium Satin paint is available, but Beluga black can also be had as an alternative for those wanting a darker, more menacing look. Additionally, an eye-catching set of totally unique 22-inch alloys feature two-tone Beluga coated spokes with Radium painted pockets, while Bentley’s Black Specification is once again part of the package, with all components normally finished in chrome done out in gloss black, plus the splitter, side skirts, diffuser and rear spoiler made from visible carbon fibre weave. The exterior is capped off by a tastefully penned Pikes Peak nomenclature below a subtle mountain outline on the front fenders. Inside, the Pikes Peak Bentayga features a Mulliner Design Colour Split that combines Beluga black leather with Key Lime accents, while the seat and door inserts are covered in grippy suede-like Alcantara for a rich look and feel. The headliner is made from a “technical Eliade cloth,” says Bentley, while a lime green outline of the Pikes Peak track, along with elevation increments and the specific example’s number plaque, gets applied to the carbon fibre dash inlay ahead of the front passenger. Lastly, Mulliner adds a set of numbered Pikes Peak treadplates to the doorsills, reminding the special SUV’s owner of the celebratory event each time they cross the threshold. Just like the Pikes Peak Bentayga that took to the track, the production version includes Bentley’s 6.0-litre twin-turbo W12 under the hood, while the adaptive air suspension and 48-volt electric active anti-roll control system, a world’s first that gets named Bentley Dynamic Ride, comes as part of the package too. Finally, Mulliner adds a Bentayga Sports Exhaust system and a Touring Specification pack, making this special edition almost as formidable as the record-winning race-spec version. To find out more about the Pikes Peak Bentayga, or a more readily available Bentayga SUV, contact your local Bentley retailer. Go ahead. Don't be shy. Nobody's watching. Indulge yourself, even for a moment. After all, it's just a car. But what a car! Feast your eyes upon one of the most beautiful luxury sporty coupes to come along this millennium. I know. 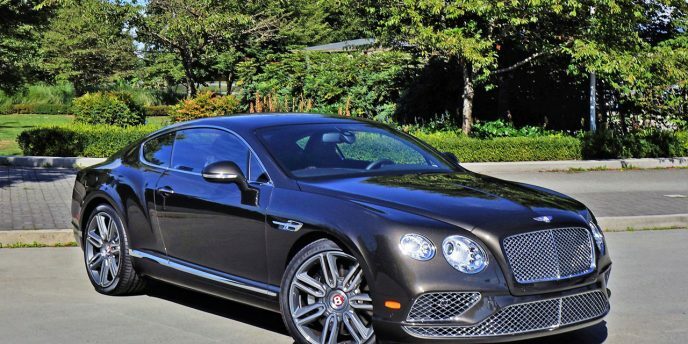 Bentley's Continental GT is nothing new. In my part of the country you're bound to see one drive by daily, yet I never tire of its lines. Its 2011 redesign refined the curvaceous theme, and the 2016 update added fresh new elements, although in both cases Crewe made sure not to mess with the formula that's allowed this car unprecedented success. In case you thought Bentley already produced the ultimate luxury SUV, not so confirmed the revered British ultra-luxury marque when it coined its Bentayga Mulliner "The Ultimate Luxury SUV", a "flagship model" that sets "new standards in automotive luxury" at its Geneva auto show introduction. OK, Mulliner is merely a top-line trim level of the already ultimate Bentayga and not an entirely new SUV, but it should nevertheless be noted that improvements must be plentiful in order to warrant the highly respected Mulliner name. On that note, dubbing Mulliner a trim level doesn't do the name, or rather the British firm's personal commissioning division justice. Mulliner is Bentley's exclusive in-house bespoke customizing shop, which has long made the brand's hedonistically accoutered coupes, convertibles and luxury sedans even more hedonistically accoutered, and therefore is now doing the same for Crewe's first-ever SUV. 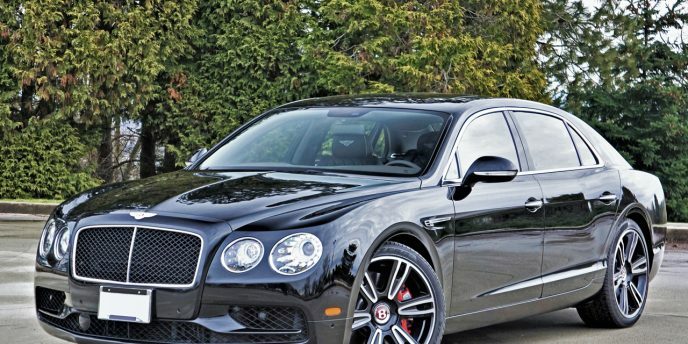 To call the new V8 S the "sport sedan" of Bentley's 2017 Flying Spur range somehow doesn't seem right.